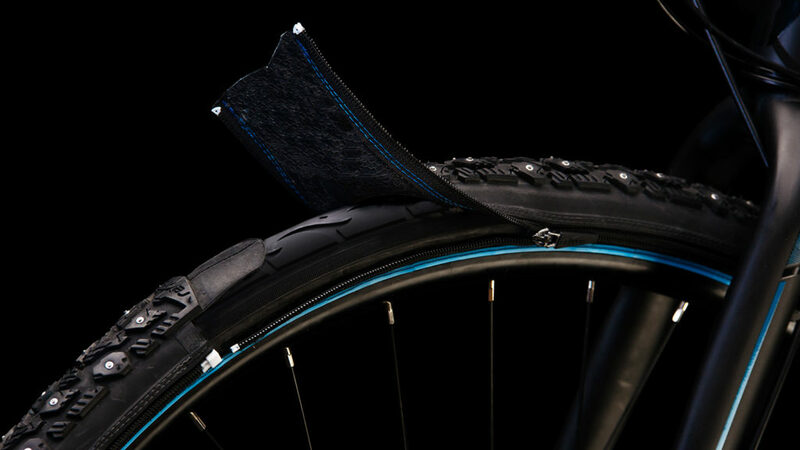 When road conditions aren't very cooperative, these modular tires for your bike are ready to help. It’s no secret that bikes are the ultimate choice of transportation for year-round fun, exercise, and, for many city dwellers, convenience. 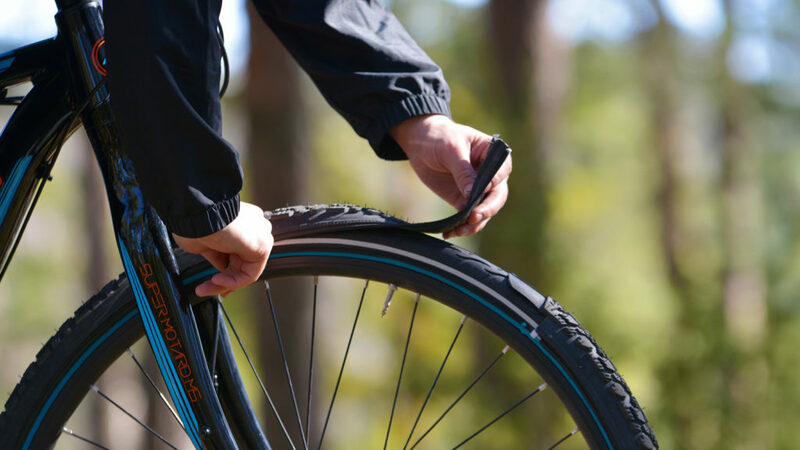 Sadly, when road conditions vary, bike tires often take a beating. The good news is that when colder temperatures begin to beckon, or your favorite cut through path becomes covered with slippery leaves, the reTyre Modular Tyre System is ready to help. In fact, the reTyre Modular Tyre System is designed to quickly attach a new bike skin whenever it is needed. From icy roads to avoiding your ex on campus by cutting through the woods, the reTyre Modular Tyre System is easy to use (unless of course you’ve never mastered using a zipper). The “tires” are made from 90 percent natural rubber and quite literally feature a zipper that eliminates the need for any installation skills. The best part is that you can enjoy the benefits of an additional 156 lightweight studs whenever you need them; and when you’re done, all you have to do is unzip, store, and go on your merry way.